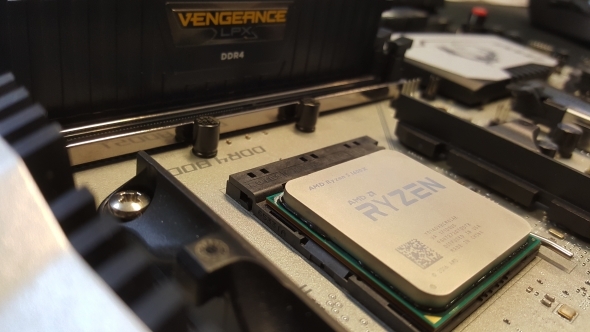 The divination ritual has been completed, the PC hardware gods have woken, and signs now point to a March release for the second generation AMD Ryzen processors (colloquially known as Ryzen 2). Actually, it was spotted on a Japanese tech site, who have managed to track down the release date from retailers and industry folks. Still unsure which CPU is best for you? Here are the best CPUs for gaming to help you make your mind up. Previously, it was expected that Ryzen 2 would launch in February of 2018, although a recently leaked roadmap indicated that may be a bit of a stretch for team red. The latest leak expects the launch around March, which would be around the same time that AMD’s Ryzen 7 was released into the wild in 2017. 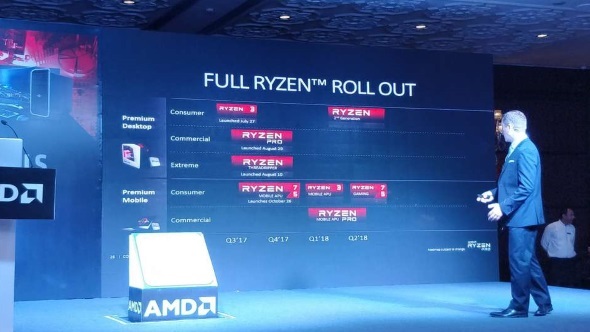 If this launch schedule does indeed come to pass, it may be even more likely that AMD tier their latest 12nm CPU launch along the same schedule as Ryzen last year – starting with enthusiast Ryzen 7 in March, followed by Ryzen 5 in April, and ending with Ryzen 3 sometime around June or July. The Ryzen launch will also be accompanied by new 400-series chipsets. This leak expects two new chipsets to tag along in March, the X470 and B450. Fear not cautious upgraders, you can still fit second generation Ryzen processors into 300-series boards, such as the X370 or B350. It is still unclear what you may have to sacrifice for this backwards compatibility, but that all depends on what new features and improvements AMD manage to squeeze onto 400-series motherboards. The second generation Ryzen chips are expected to bring with them a slight die shrink from 14nm to Global Foundries new 12nm LP process. This should, in turn, allow for slightly higher clockspeeds and greater power efficiency over first generation Ryzen processors. These processors may also launch with new and updated SenseMI tech, as was the case with the first Raven Ridge APUs, but we will have to wait and see a little longer to confirm. As a die shrink generation, we are unlikely to see any change in IPC or other major changes to the architecture – you’ll have to wait until Zen 2 for that.